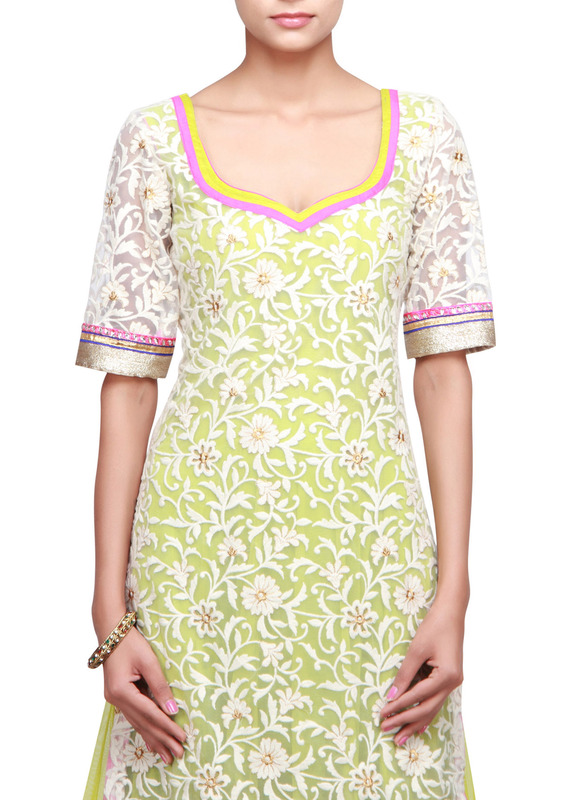 White suit embellished in thread work all over. It comes with under layer green anarkali net. 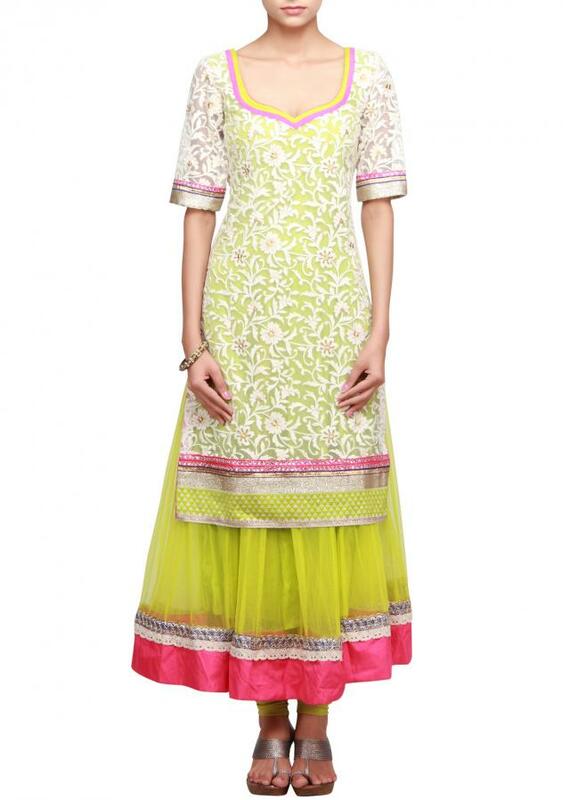 Churidar is in green lycra and dupatta in pink net.